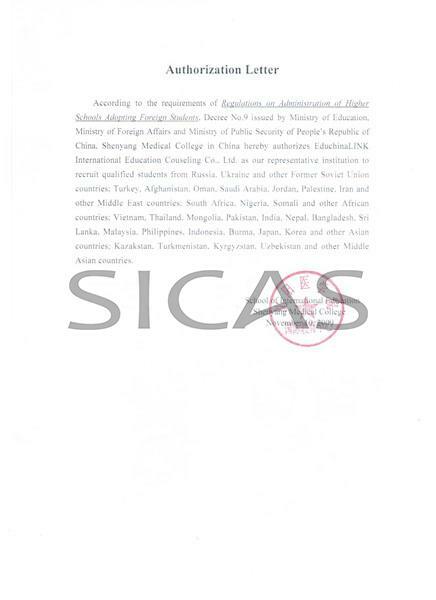 Shenyang Medical College (SMU) is recognized by WHO and the graduates of MBBS program are eligible to take the Medical Licensing Examinations held by the medical councils in different countries such as MCI, PMDC, USMLE, HPCSA, SCHS etc. The program will not only benefit the development of the higher medical education, but also improve the cultural exchange and co-operation among the medical universities around the globe. Moreover in purist of excellence and in tune with International faculty exchange program and student exchange program the faculties are sent abroad for training and to develop learning methodology and techniques. Human Anatomy, Histology & Embryology, Medical Psychology, Cell Biology, Microbiology & Parasitology, Immunology, Pathology, Medical Genetics, Pathophysiology, Pharmacology, Epidemiology, MedicalImageology, Ophthalmology, Pediatrics, Infectious Diseases etc. View the Syllabus for MBBS Program.xls (it may be revised in the teaching process). 1. Food and stationery is about RMB 7000 per year. 3. 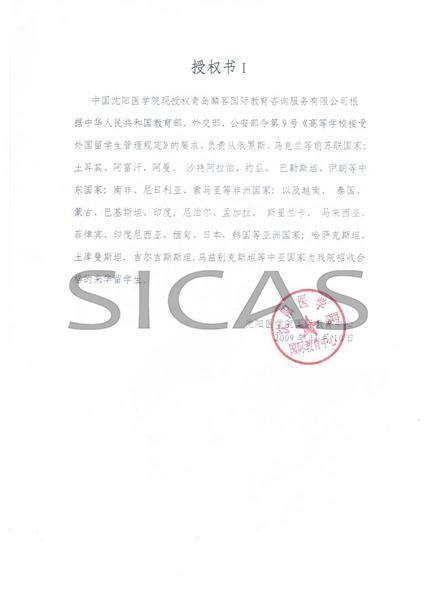 Student just pay 25% tuituin fee if they do not make internship in Shenyang Medical University. 4. Accommodation deposit will be refunded to the student when graduating if no damage in apartment. 5. The fees for health checkup, Visa Extension, Insurance, Books are not decided by university, once changed, please pay accordingly. 6. All fees in the first year is necessary, please transfer to university account before you come. The 5.5 years including 1 to 1.5 years compulsory internship. 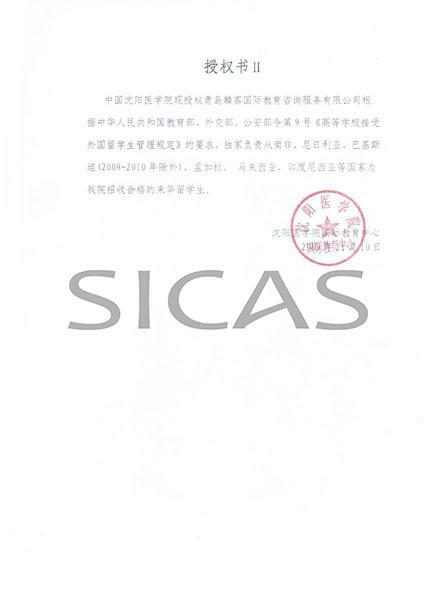 On completing the requirements of the teaching program and passing the graduation examinations successfully, international medical undergraduates will be granted a graduation certificate and conferred a medical degree by Shenyang Medical College, if they meet the degree regulations of Shenyang Medical College. 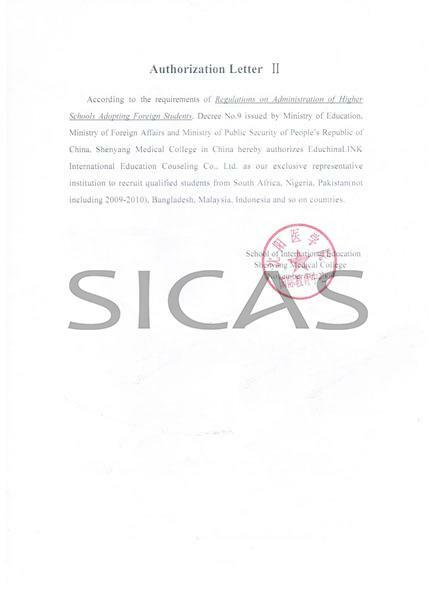 The English copy of the degree will state MBBS (Bachelor of Medicine and Bachelor of Surgery). 1. There are boarding house, school infirmary, super market, laundry house and so on. 2. The facilities for physical education is quite complete, there are places for basketball, volleyball, tennis, football, table tennis and so on. 3. The facilities in apartment for international students are all complete; there are restroom, satellite TV, telephone, closet, table and chairs, Internet socket in the room. 4. Hot water is provided 24 hours a day, there is washing machine in the apartment. 2. Applicants must Be in good health. 3. High school graduate or equivalent or above. please provide a photocopy of the visa.